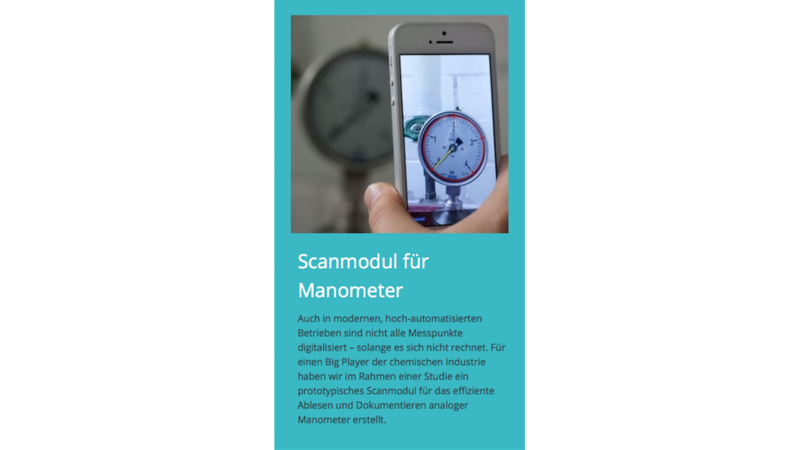 We have developed a mobile OCR solution (Status: Proof of Concept) that enables the capturing of analog displays of manometers via smartphone camera. Optionally, an individual barcode can also be captured. The display values are digitized on the mobile device, an Internet connection is not required. Correctly collected values are thus transferred from the field - without media breaks and transposed digits - directly into the own systems for further processing.